Boehringer Ingelheim Vetmedica Inc. continues to shed assets as it finalizes a merger with veterinary drug maker Merial Ltd.
Bayer Animal Health of Shawnee, Kan., will acquire BIVI’s Cydectin (moxidectin) line, which is formulated to control parasites in cattle and sheep, the companies announced Dec. 7. The transaction, which covers U.S. sales of Cydectin, is expected to close in the first quarter of 2017 and is necessary to satisfy regulatory requirements as the Merial merger nears. BIVI in October sold more than 40 feline, canine and rabies vaccines to Elanco Animal Health for $885 million. The value of the Cydectin deal was not reported. “The U.S. is our most important market, and the addition of the Cydectin products will help further strengthen our position in cattle parasiticides in the U.S.,” said Dirk Ehle, who leads Bayer Animal Health. 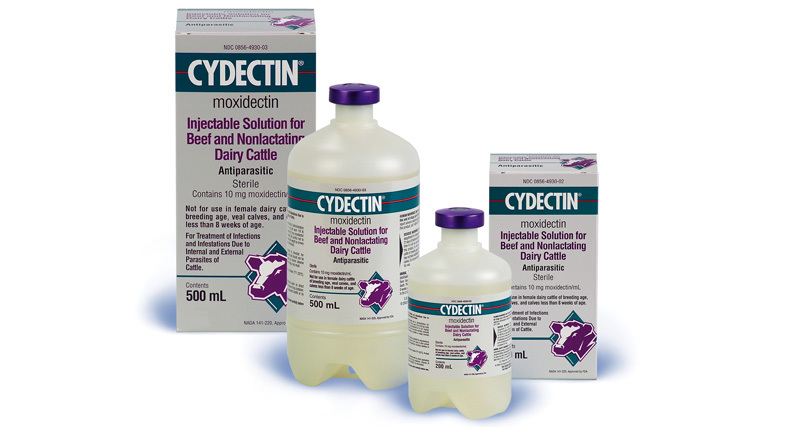 Pour-on and injectable formulations for cattle, to kill internal parasites such as the brown stomach worm (Ostertagia ostertagi) and to control external parasites such as lice, grubs and psoroptic mange mites. Oral drench formulation for sheep, to treat and control internal parasites. BIVI’s North American headquarters is in St. Joseph. Mo. The merged company will be based in Merial’s hometown of Duluth, Ga.